This week’s article is about a man who used to work as an A&R for several labels, a man that helped Seb Fontaine and Judge Jules pick songs for their Radio 1-shows, a man that used to hold a recidency at the legendary London club, Serious @ The Cross. I´m ofcourse referring to Simon Patterson. His work as a producer started in 2003 with production partner Richie Kayvan under the guise Dogzilla. Your Eyes, the second single is another sweet trancer, especially after 03.55 just after the big breakdown. Their biggest hit, the 2005 single Without You is an epic track and did pretty well in the charts. Supported by Djs like Paul Van Dyk who picked the track as his record of the year, the track was huge in most clubs around the world. It was also re-released in 2010 with remixes by Rafael Frost and in 2012 with remixes by Simon Patterson whereas the latter was available for free on Simon Pattersons webpage but now removed. Dogzilla’s last single, Frozen follows Without You as it’s more of a vocal track and also contains guitar-samples and is more rock-influented than a true trance-track. 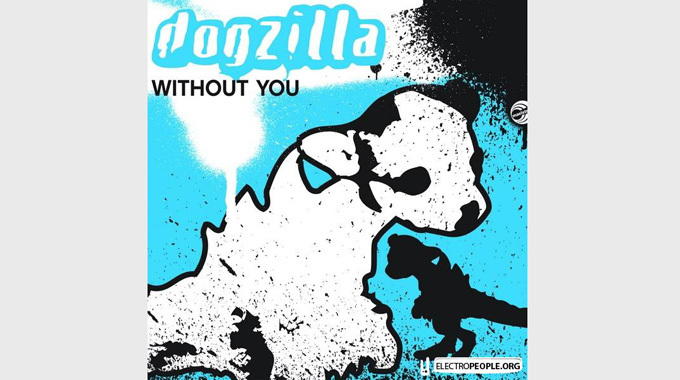 Dogzilla only released 4 singles but still made a huge impact, especially with the 3rd single, Without You. Simon left Dogzilla in 2008 to pursue his solo career. A fun fact is that Richie Kayvan sings on all Dogzilla tracks. Simon’s first solo-release, F16 was released in 2006 while Simon still was in Dogzilla. The track was later re-released in 2011 with a new mix from Nick Callaghan & Will Atkinson. 2007 saw the release of Panic Attack/Strip Search aswell as Bulldozer/We’ll See. Of the lot, all are really good tracks but Bulldozer stands out as a brutal banger, especially after the breakdown. A true classic! 2008 was a pretty productive year which started with Smack/Whatever It Takes. I just love Smack, especially the John Askew Remix which makes the banger bang even more. Different Feeling is way more progressive than his usual productions but still has a nice vibe to it. The followup, Us is back to the harder side of Simon. Love the lead with that angelic voice on top. Something’s Up, the first of two collaboration with Sean Tyas is back to the slower side again. Just love the Commodore C64-arpeggios used in the track together with the piano in the breakdown. I think i’ve mentioned this before but i’m a sucker for pianos! The second collaboration with Sean Tyas, the 2009 hit For The Most Part (with singer David Wright) is a banging vocal track. I especially love the Markus Schossow remix which is slower and more progressive. Always, is one of my favourite Simon Patterson-tracks, so sweet, especially the female voice over the track. Thump is another banging techtrance track from Simon, such a cool track, especially the driving bassline. The 2010 tracks Taxi and Miss You. Both have a breakdown with a ovely piano but I prefer Miss You over the two. Mood Swing follows the recipy of the last few tracks with a beautiful breakdown with piano and an angelic voice on top aswell as Latika. The collaboration with Greg Downey on Come To Me (with singer Bo Bruce) is another sweet vocal track. Keep Quiet (with singer Luce Pullin) is another vocal track more to the commercial side of trance. So What still keeps the techy side of Simons releases but abit slower than usual. The last release from Simon, the 2012 track Within is back to the bangy side of Simon’s techtrance. I just love the depth of Simon’s talents who can do tracks on such variety of tempos and still have that special Patterson-sound. I’ve seen Simon play a couple of times over the years and he has so far never disappointed me. When you go to a Patterson-gig, you know that you wont stand still. Simon is still pretty young and still has done so much in the trance community. My guess is that we’ll hear much more from Simon before he retire. He still got that drive to make bangers and as long as he’ll release them, people will dance to them!